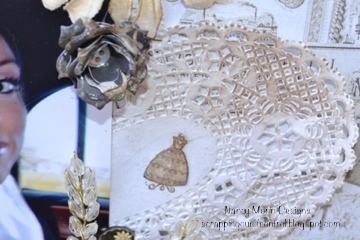 Scrapping Out of Control: My Creative Time Sneak Peek Week!! 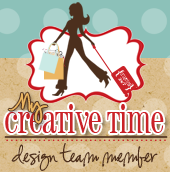 My Creative Time Sneak Peek Week!! Happy Monday!! Im so excited today because I get to show you a tiny glimpse of the new My Creative Time Stamps! They are super cute! This week is going to be filled a ton of inspiration from all the design team members. Please make sure to stop by in the next few days for additional projects. I LOVE these stamps!! Look at the cute little dress form! So perfect for a wedding layout. Come back on Thursday for the video on how this layout was made. Ok don't forget to visit the other DT members for more project ideas. Also make sure you come back on Thursday for the MCT Release Blog Hop! There are yummy prizes and most importantly, more inspiration! Thank you for stopping by. Big Crafty Hugs! Love your beautiful layout. Great work. 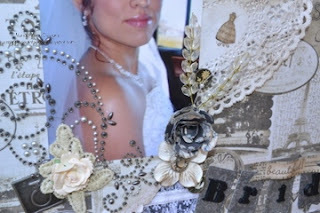 Very pretty layout i love the vintage feel!! Such a beautiful layout. Thank you for sharing. This is so so so beautiful!!!!! Awesome job! Just STUNNING and BEAUTIFUL! That is just NOT for the layout ~ that is for you too! GORGEOUS bride you were Nancy! Wow, what a beautiful LO! Amazing. TFS. Beautiful LO love all the embellishments. Just beautiful! I love your vintage, elegant style!!! 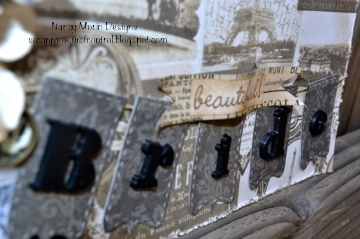 Beautiful bride and beautiful layout! WOW!! That is breathtaking! Gorgeous layout!!! Beautiful Layout! Love the soft colors and bling. Really pretty design. So feminine. Lovely layout and the dress form is the perfect touch. Wow!! your LO is GORGEOUS!! Love all the details! This layout is so unique and elegant. I really like how you used al the different dies and love the banner one! so beautiful and elegant! TFS! Your layout is very pretty and elegant. Loved that its very detailed, I also loved the way you incorporated the banner:) Can't wait to see your other projects for the sneak peek. Beautiful job on your layout. You are right the dress form is perfect for wedding themes. 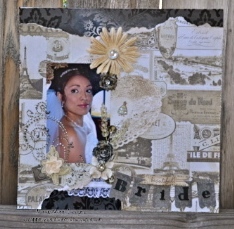 Beautiful scrapbook layout! Thanks for sharing. WOW, so beautiful! That little wedding gown just might be my favorite! Love the papers houses on this layout. All the little details are over the too. The wedding dress form is a perfect embellishment. That is an absolutely amazing layout! So many ideas coming out of this layout. Thank you for the inspirations! Gorgeous layout!! I love the shabby chic look. Stunning lo! There is so much eye candy to look at that I could sit and look at it all day! lol Love how you incorporated the stamps into the lo! Combo Supreme! A little bit collage, a lttle bit smash, a little bit scrap, and a whole lot of lovely. Out standing!TFS. This is so beautiful! Good job! Beautiful wedding layout. Can't wait to see the video on how you did it. So elegant. Thanks.